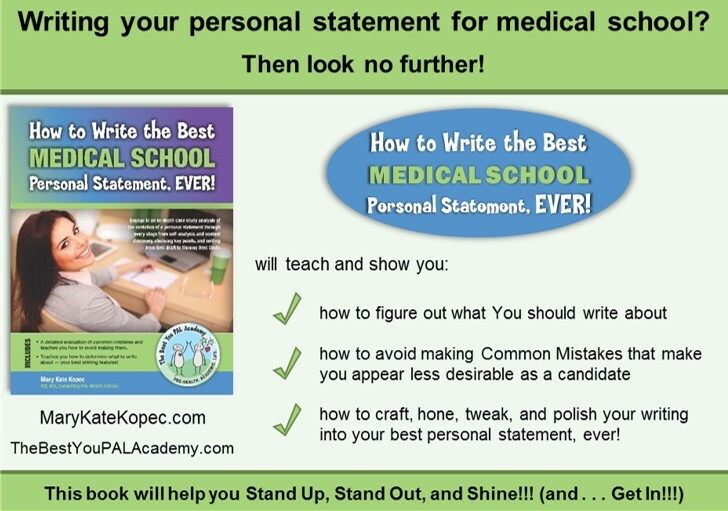 How to Write the Best Medical School Personal Statement, EVER! is coming soon!!! Just a quick update! Very exciting!!! Final edits are almost done. Then off to print format (it’s a full color book, something new for me), and then into your hot, happy hands!!! I’m working hard to get you a release date as soon as possible. I know you need this soon! :0) This book will be available at Amazon, and it will also be included with membership at The Best You PAL Academy, which will also be launched very soon! Working hard to get all of this amazing, helpful information to you as quickly as possible. This entry was posted in How to Write the Best Medical School Personal Statement, Mary Kate Kopec, Writing Process and tagged Mary Kate Kopec, Writing Process by Mary Kate. Bookmark the permalink.